Governor Charlie Baker has been on a Western Massachusetts kick of late, visiting the region and Springfield in particular quite a bit. He will be back in the city tomorrow for a fundraiser at the Student Prince hosted by busing magnate Peter Picknelly, restaurateur Andy Yee and former City Councilor Anthony Ravosa. However, Ravosa is no mere former city pol. The one-time councilor and Republican congressional candidate is leading an effort to bring a casino to East Hartford. Connecticut may permit expanded gambling in attempt to blunt MGM Springfield’s impact on Foxwoods and Mohegn Sun. Ravosa’s proposal received zoning approval from East Hartford officials exactly one week before the scheduled fundraiser. MGM has maintained a calm face during the Connecticut process, but should the Native American tribes open a Metro Hartford facility, it could threaten the business plan of MGM Springfield. Baker, as a candidate and as governor, has touted MGM as key to Springfield’s revival. According to an invitation obtained by WMassP&I, the Oktoberfest-themed fundraiser, slated for the Student Prince at 5pm Wednesday night, includes a cocktail reception priced at $500. At 6pm, there will be a private dinner with the governor listed at $1000, the maximum contribution amount allowed under state law. Because both Baker and Lt. Gov. Karyn Polito have their own campaign accounts, individuals can donate $2000 to the combined ticket. Picknelly, Ravosa and Yee are listed as the hosts. Attendees can also contribute to state Republicans’ Victory Fund, a joint fundraising committee of the national and state GOP. Ravosa has raised hundreds of thousands of dollars for Republican candidates over the years in Connecticut and nationally. Among the beneficiaries have been Senator John McCain, US Rep and 2012 Vice-presidential candidate Paul Ryan, former Senator Scott Brown, New Jersey governor Chris Christie, and former Connecticut governor John Rowland. The East Hartford casino is not his first foray into gaming, either. Ravosa was part of a group that had sought to purchase Holyoke’s Wyckoff Country Club and build a casino there. That plan disintegrated amid opposition in that city. Ravosa’s proposal would renovate a former movie theater off I-84 into a complex with restaurants, slots, tables and some entertainment. The Connecticut legislature must still approve expanded gaming before any development happens. East Windsor and Enfield may also compete to host the tribes’ facility. Baker, for his part, has staunchly supported MGM Springfield since last year’s gubernatorial campaign. 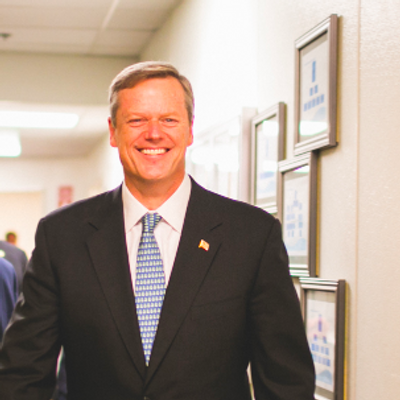 While his economic plan for the commonwealth has not yet been released, Baker has leaned heavily on MGM to reverse the fortunes of Massachusetts’ third largest city. Although he and his administration have touted the MBTA railcar plant and Union Station, Baker had taken particularly strong stances on the casino. Overall, he expressed reservations about a glut of casinos, but before last November’s election, he vowed, should the casino repeal question pass, to pursue legislation that would allow MGM Springfield to proceed. The ballot question ultimately failed. Picknelly and Yee jointly own the Student Prince after buying it from longtime owner Rudi Scherff last year. The institution is a political haunt in the city, used by both Democrats and Republicans. Baker has held fundraisers at the Student Prince—or the Fort as it is often called—in the past including one in 2014. Ravosa attended that one and, along with Picknelly, organized one for Polito this past April. The fundraiser this year occurred days before Ravosa unveiled his plans for East Hartford. Neither Ravosa nor the governor’s office returned an email requesting comment as of posting time.